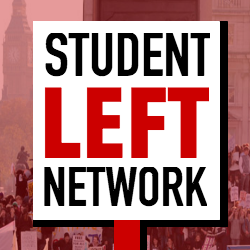 Model motions to pass in your Labour Clubs and Student Unions. The increasing number of trade union struggles scuppered by the anti-trade union laws, including recent national ballots over pay by UCU and PCS. That the anti-union laws – not just the 2016 Trade Union Act, but multiple laws going back to 1980 – continuously undermine workers’ ability to organise and campaign. They mean the labour movement is fighting challenges of low pay, insecurity and lack of rights with our hands tied behind our backs. That the conference 2017 conference voted unanimously to “repeal the Trade Union Act, but also anti-union laws introduced in the 1980s and 90s”. Labour Conference 2015 voted unanimously for the introduction of strong workers’ rights including “strong rights to… strike, picket and take solidarity action”. Conference 2018 voted for the next Labour government to “abolish anti-union laws”. That these policies have not yet fed through into the party’s campaigning. To call for party policy on repealing all the anti-union laws and introducing a strong right to strike to be reflected in the party’s campaigning, and write to the NEC, Leader’s Office and Shadow Chancellor’s Office. To add our endorsement to the statement initiated by Lambeth Unison. To invite a speaker from the campaign.